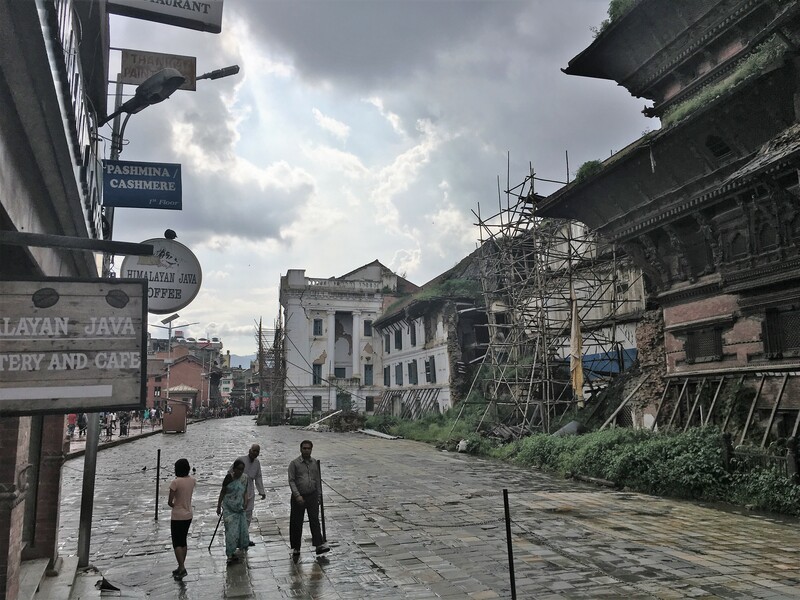 Finally on Saturday (July 23), five days after we landed, we headed down to the heavily damage Durbar Square, on our own. A former royal palace and home of one of the Kumaris (pre-pubescent girls who are living Hindu goddesses). Before we got to the square, we actually had to get there. On our own (did I mention that?). We headed for ring road and the taxi queue. There’s a website that calculates taxi fares so you don’t get taken advantaged of as a tourist (or local), so we knew that it should be about 150-200 rupees. I let Nate do the talking. The first guy we went up said nothing below 500 rupees. No, 200. Okay, okay 400. No, 200. We walk away. Next guy: 350. No, 200. Okay, 300. 200. We begin to walk away. Okay, okay, 250? Sold! Not sure that we got the local price, but Nate was triumphant at his first foray into taxi bidding. 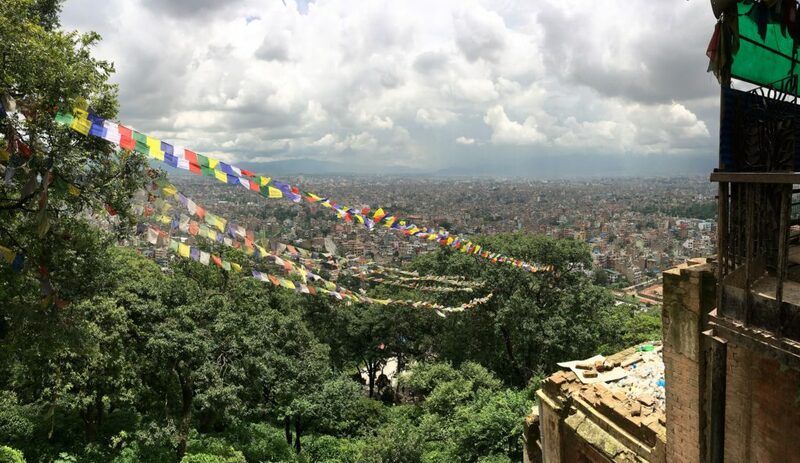 There are three Durbar Squares in the Kathmandu Valley. Each with a special history and its own Kumari. 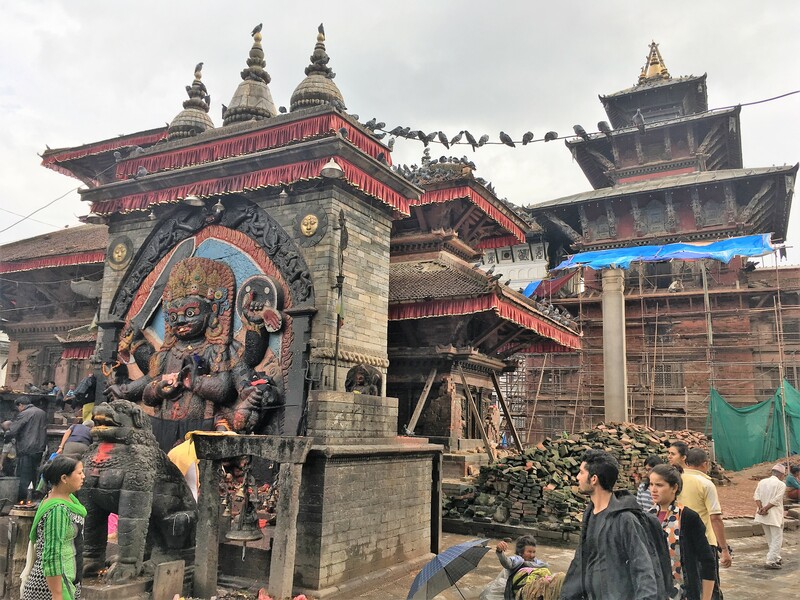 This one in Kathmandu is actually a UNESCO world heritage site, but was heavily damaged by the 2015 earthquake. They raised the price to 1000 rupees (~$10) entry to try and help with the rebuilding, though we’re pretty sure that it is more of a tourist tax and that locals don’t have to pay. We tried to walk in, but a police officer and ticket-taker stopped us. We looked like the most cliche tourists. It was confusing trying to find our way into the square, which is confusing in and of itself because squares usually are pretty straight forward. 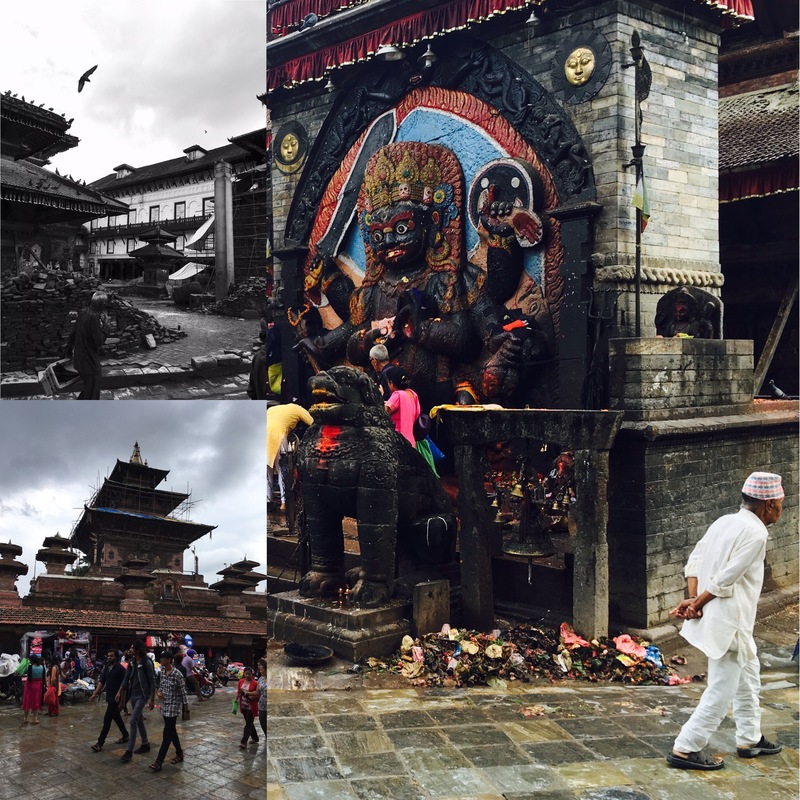 It turns out that Durbar Square isn’t just one square, but is the name given to the multiple squares in this area. As we tried to get our bearings, a nice downpour started. We ran like everyone else to get cover and found a nice spot under the eaves of a mini-police station. I had my recording equipment ready to go and since I had nothing else to do, I started recording and hoped that someone would ask me a question. A group of young Nepali guys asked me if I was an American. Yes. I then asked them if they were Nepali. Yes. Would you mind answering a few questions? Sure. For the next few minutes during the rain, ask I asked a few 18-22 year-olds about American and Nepali politics. First, no they had not heard there was an upcoming election in the United States. What for? To become president. I guess if you don’t know about the election, you probably don’t know the candidates? Right, we know and care only about Nepali politics, just like in the US you only care about US politics. An interesting part for my interviews is asking people who they would vote for or any advice they have for American voters. Overwhelmingly people have been hesitant. A sort of humility that says, “I am not from your country so I won’t presume to tell you how to run it.” Which is really different from my mentality, possibly because as an American I assume (wrongly perhaps) that if I know enough about your country, I can share input that will help fix it. Nevermind my lack of overall knowledge and cultural context may severely limit my ability to say something useful. People seemed genuinely suprised that I would ask them questions about American politics. From my perspective, I think US politics is relevant to the world because of our vast arsenal of weapons alone. The presidency matters for many reasons: a president is the Commander in Chief, but is also the Head of State, who is the chief diplomat on the world stage. The tone of the president can ice relationships or warm-up frosty decades-long spats. So though the president is limited to the powers granted in Article II of the Constiutution, this position has increased in importance and power since George Washington left office at the end of the 18th century. And now since nearly the mid-20th century, the president has had the nuclear option; going from directing generals into battle to dictating the obliteration of a city by just one bomb. And the president has access to thousands of nukes; that’s a lot of power. 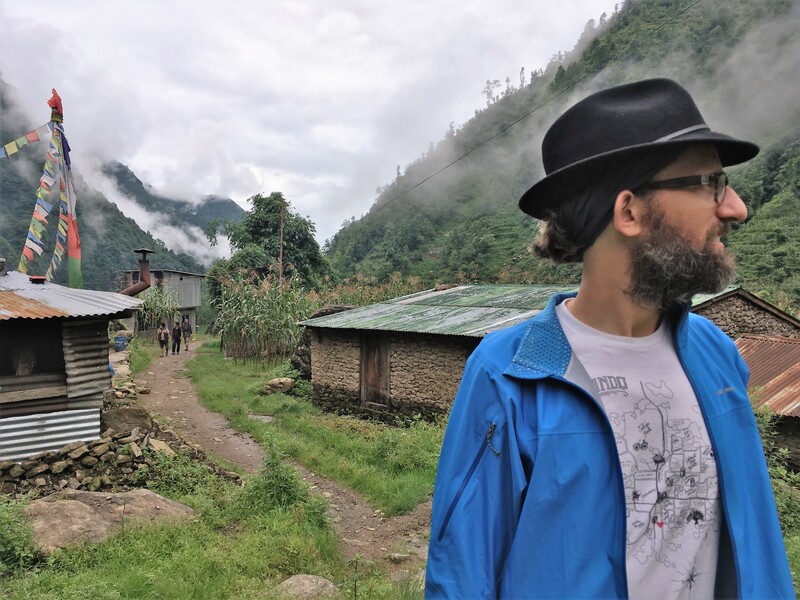 I however, did not explain all of this to the young Nepalis, who explained that American culture is influential to them, but they don’t care at all about our elections. They did decide to play ball of sorts with me though. Okay, so who is running in your election? Obama? No, he can’t run again. Have you heard of Donald Trump? No. Big, yellow hair, businessman, older, on TV. You’re fired! Okay, who else. Oh yes, okay. Clinton. Clinton? Again. No, his wife Hillary. These are the least popular candidates ever, ever. Oh, best of luck to you. Who should I vote for? We can vote? No, I don’t know who to vote for? Awkward pause. I ask what my students should know about and they start to talk about the Kumari. They said they were a little bit scared of her. 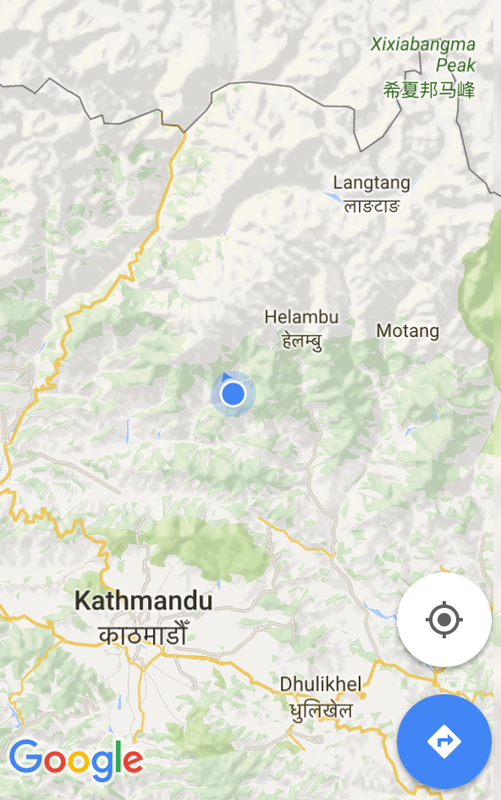 Then we tried to explain where we were going in Nepal, but they thought it was funny that we don’t know Nepali. Understandably that was a sticking point. And like that the rainstorm was finished and they were gone. We headed to go get some coffee to re-strengthen our resolve of what we were actually even doing in Durbar Square. People watching. Buy an umbrella (there are a million easier places we could have gotten an umbrella). Scout some souvenirs. Work up the nerve for more interviews. There were interesting Hindu temples and worshippers. Tour guides abounding: 500 rupee, 300 rupee. No thanks. Hawkers selling their wares. Any time you would pause to take in the view, it seemed like it was license to offer something. We would get surrounded by guys selling who knows what. We wandered about for about 45 minutes and then called it quits. We headed to a taxi line and started the bidding war again. It was almost an exact replay of ring road. Another 250 rupees and we were back home. The easiest marker to tell people is Buddha Park adjacant to the Monkey Temple. It has three giant golden Buddhas and a few monkeys too. It’s interesting looking at religous symbols from other faiths besides Christianity. All over Europe there are giant and beautiful cathedrals; we’ve been in so many I’ve lost count. But you look up at the stained glass with incredible Biblical scenes and it makes you think about a bigger, greater world. Pointing toward the heavens. 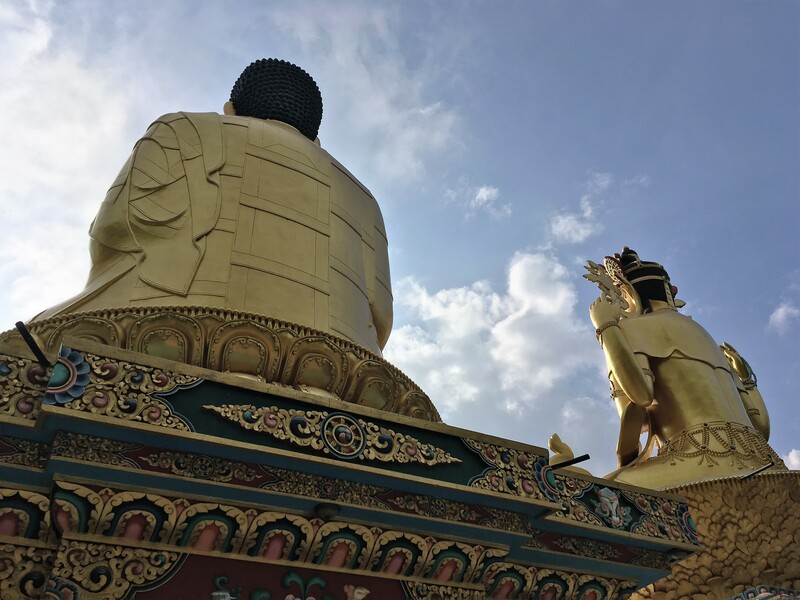 In Buddha Park there isn’t a giant cross, but you still have to look up and it is spectacular to see the gleaming gold against a blue and white puffy sky. It may not be my place of worship, but it is a place where I could worship my own way. Leaving Buddha Park we had our last major challenge of the day: crossing the ring road. Earlier I’ve tried to explain the ring road. A mass of vehicles, pedestrians, dogs, and cows and no traffic lights, crosswalk, or signage. That is what we were going to cross. PJ & Lizzy’s advice: just be confident and keep going, and try and follow someone already crossing the road, strength in numbers. Okay, we got this. And actually we did. We looked right before left. We tried to cross with other people and still had to mostly go on our own. But we made it to the other side and it was easy. We felt very successful at our solo excursion. We are ready for Gyangphedi. Right? 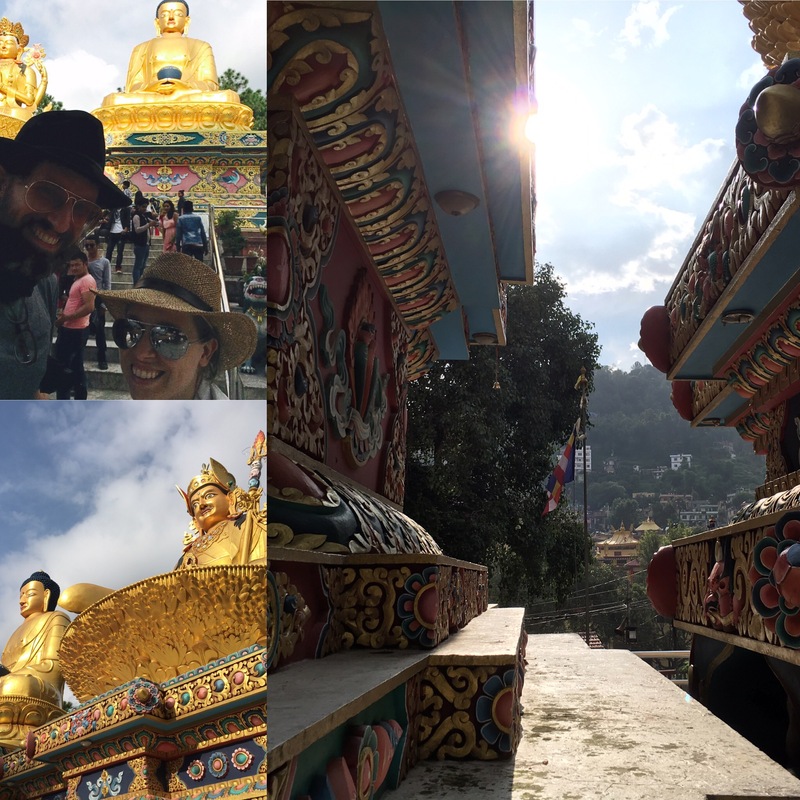 PJ and Lizzy live in a Tibetan section of town near the Swayambhunath (Monkey) Temple. 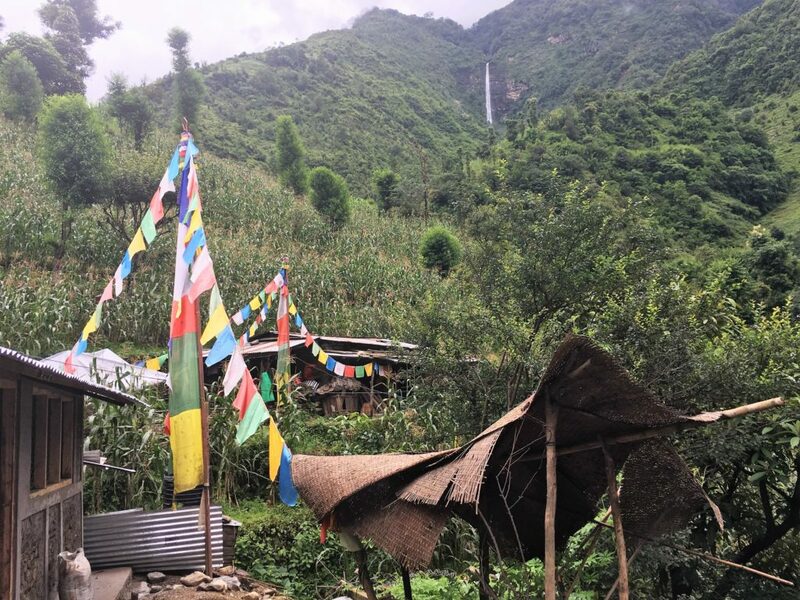 Colorful prayer flags are everywhere. 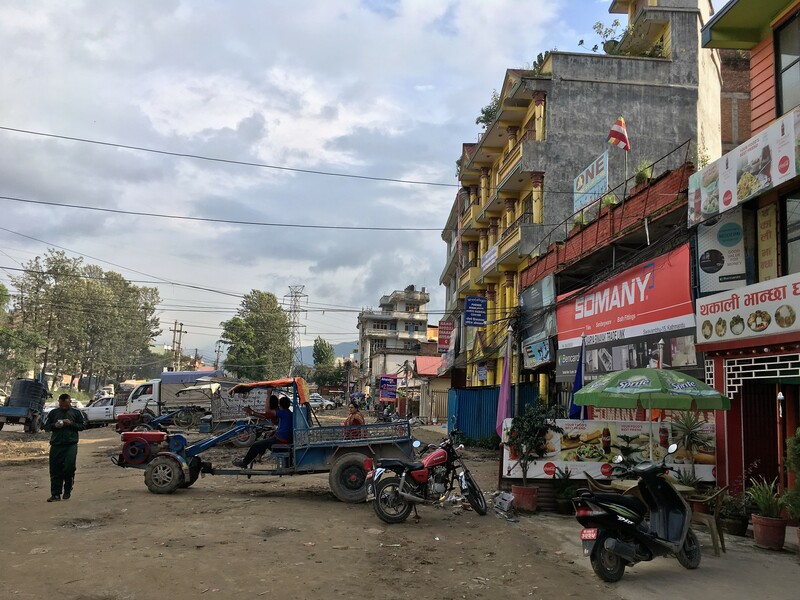 There are numerous refugee groups in Nepal and about 15,000 from Tibet, which is less than 50 miles north of the valley. I think Nathan and I were both wondering how we would navigate the city on our own. We were contented lying low and following PJ, Lizzy, and kids around like puppies. 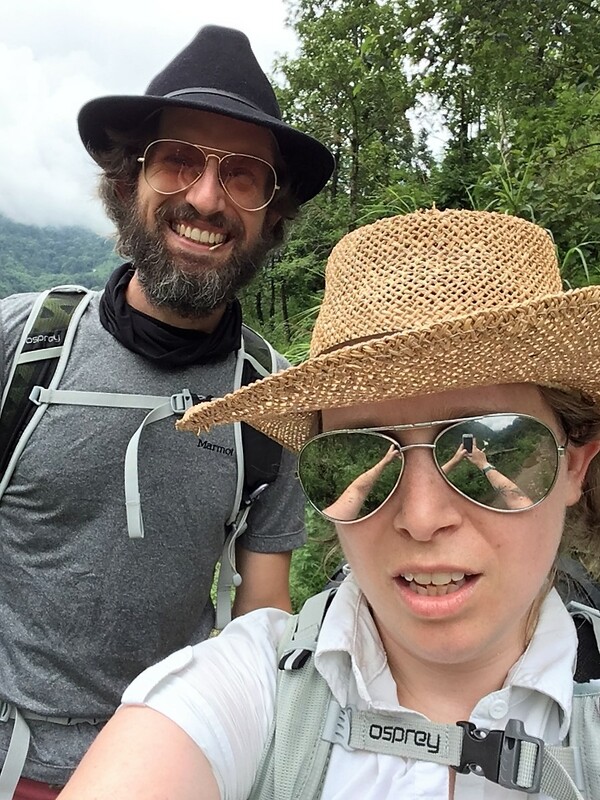 PJ and Lizzy have lived abroad in India and Nepal for over a decade and have an inspiring sense of adventure. They live on the bottom floor of a large home and it is retrofitted for the daily power outages. The fridge has a special way of staying cold without power and there are multiple power outlets that run off of solar power. The floors are a gorgeous green marble, which would be exorbitantly expensive in the states, but here it’s brought in from just down the street. In April of 2015, there was a massive 7.8 magnitude earthquake that killed more than 8,000 people and injured three times that many. The last major earthquake had been in 1934, when Nepal was still a closed country. 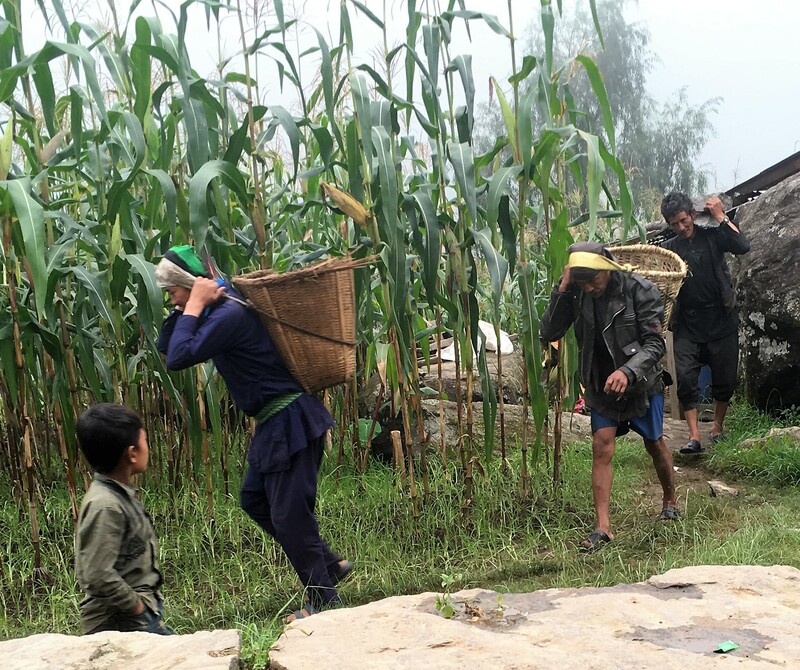 In May, it continued to experience aftershocks up to 7.3 magnitude. Many things were damaged or destroyed. 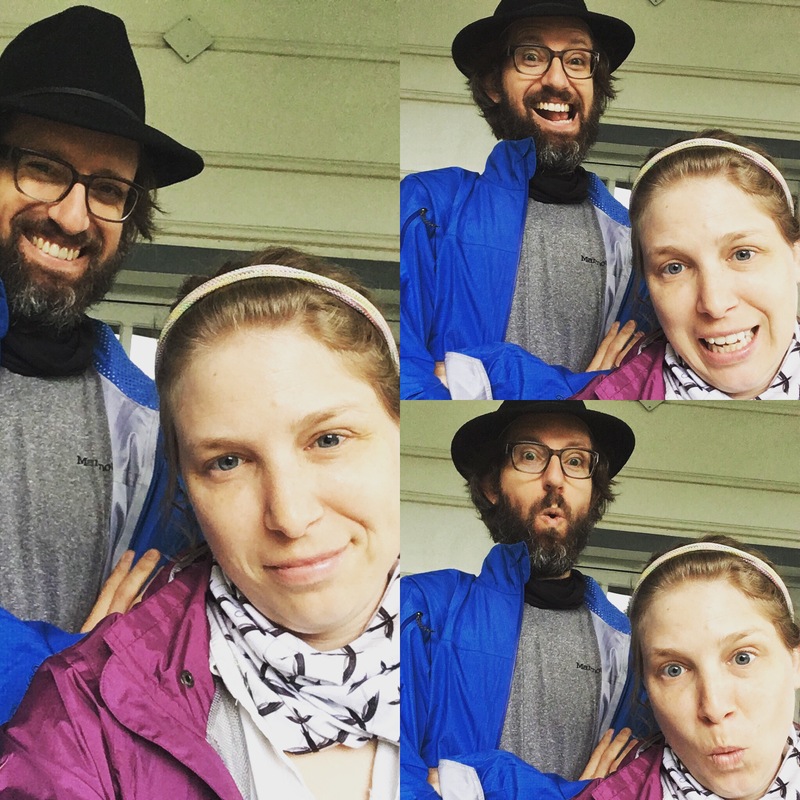 PJ was traveling and Lizzy was in Kathmandu with the kids. Their house was fine, but it wasn’t safe to be inside. So outside of the fear of their home falling on them, cell communications were out and they didn’t know if the other was even okay. All of the neighbors were staying outside and it started to rain and rain. Some of the houses in their neighborhood were severely damaged. 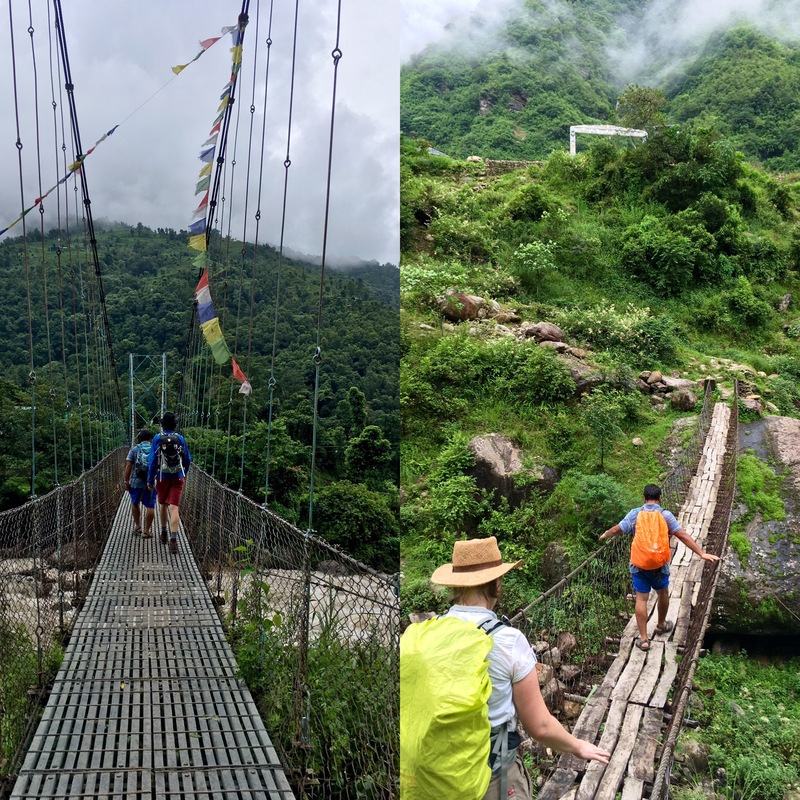 A sense of adventure is needed to live in Nepal. But rebuilding is underway and along the sides of many roads are huge piles of red bricks, just waiting to be put together to rebuild a home or business. The main industry in Nepal is tourism. Earthquakes do not make tourists want to come to an area. 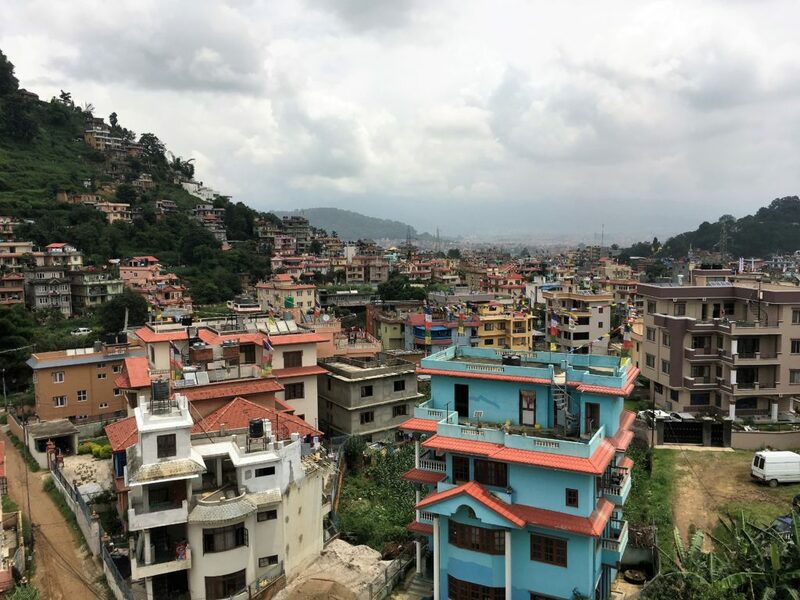 It’s really hard because so much work has been done by the Nepalis and outsiders to build up the infrastructure of the country, only to have it undone in an instant. 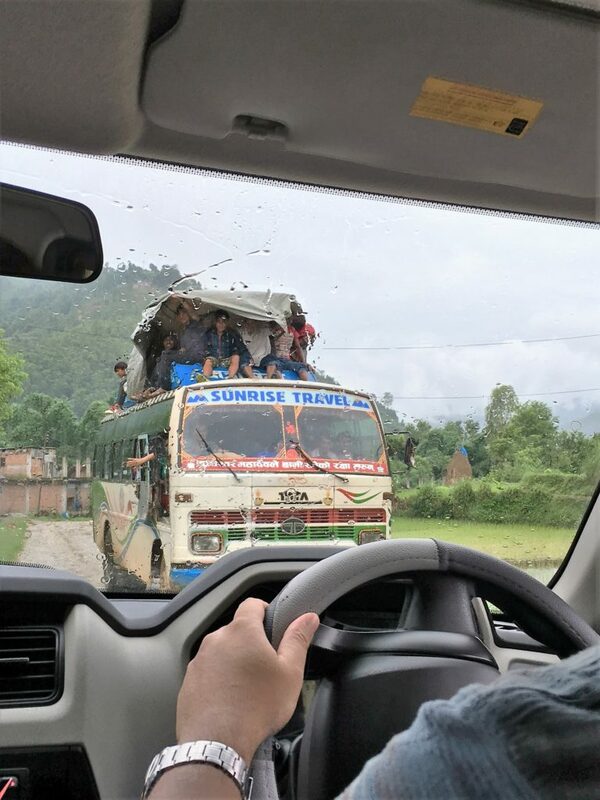 Monsoon is not the major tourism season, even so there were a lot of westerners like us traveling about, which seems to be a good sign for the recovery effort. 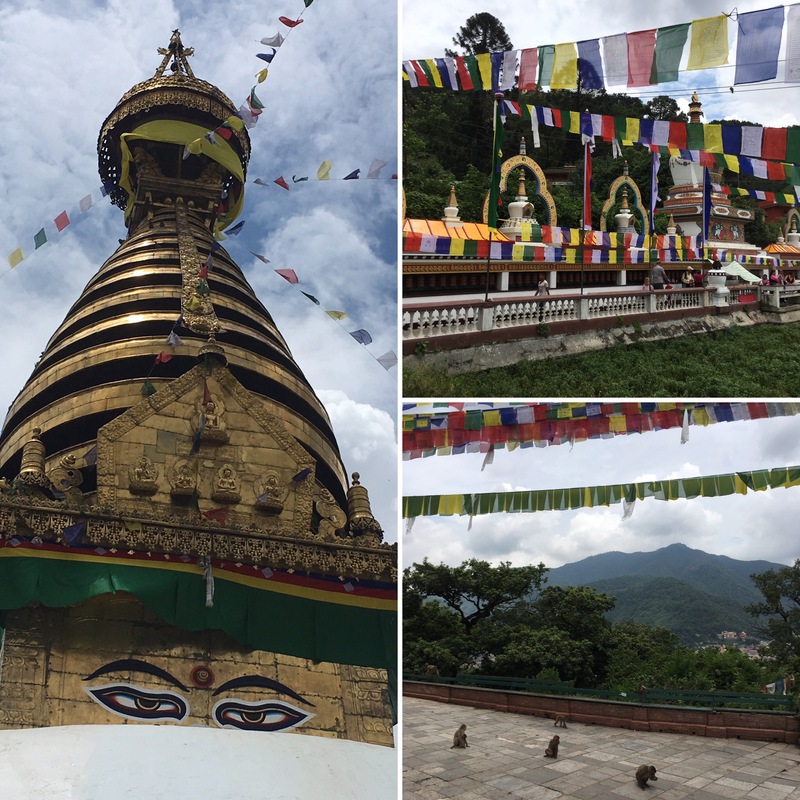 Our first full day in Nepal, PJ, Lizzy, and kids took us for a tour of the Monkey Temple, just a half-mile or so from their home. The thing is: you have to cross the road. 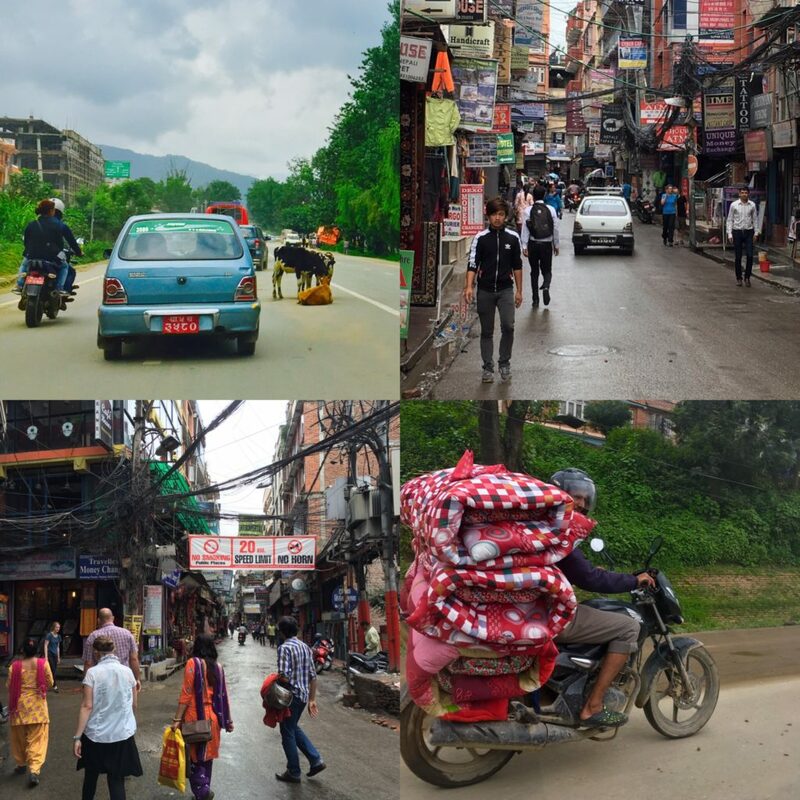 The biggest road in Kathmandu is called Ring Road, which rings the city. There are lane lines, which are really more of a suggestion. The trick is, you just go. Not in a fatalistic way, but the cars will swerve and get out of your way. You start and stop and juke and just go. We held the hands of the kids (5 & 7) but they were old hat at this. We were the ones that really needed our hands held. I could not imagine crossing this road on my own. Footwear: my Italian leather thrift shop booties, shockingly were not a good fit for the muddy streets of Kathmandu. Thankfully I had my Chaco sandals with me and they worked out great. Nate had his big Iron Ranger boots and was fine too. I haven’t mentioned stray dogs yet, but there are a bunch of them. Mostly friendly and hungry. They’ll follow you for a few blocks (or longer). But it does mean that the streets have plently of dog poop, animal poop, mixed in with the mud. 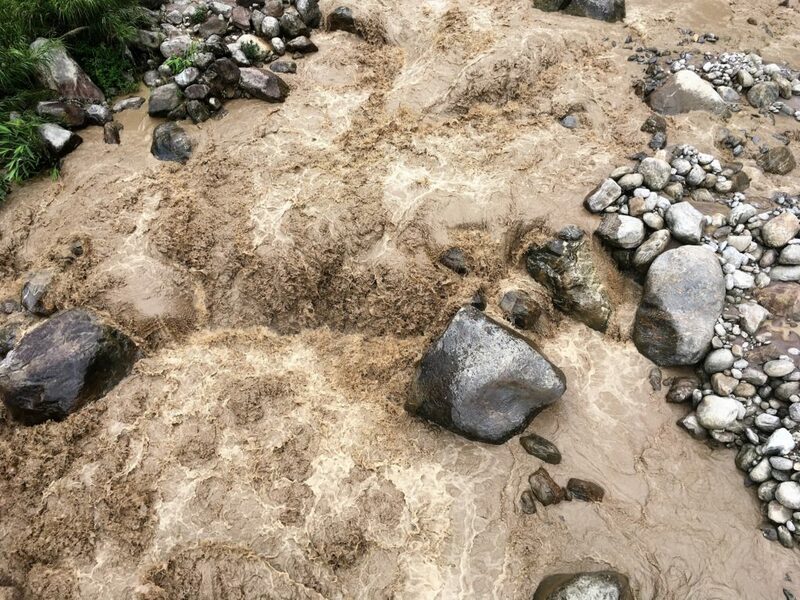 You have to be very careful where you step because it is also like walking through a river bed at times with ankle-breaking rocks and poop. It doesn’t smell great either. The Monkey Temple lives up to its name. As an American, I am not used to seeing monkeys everywhere. 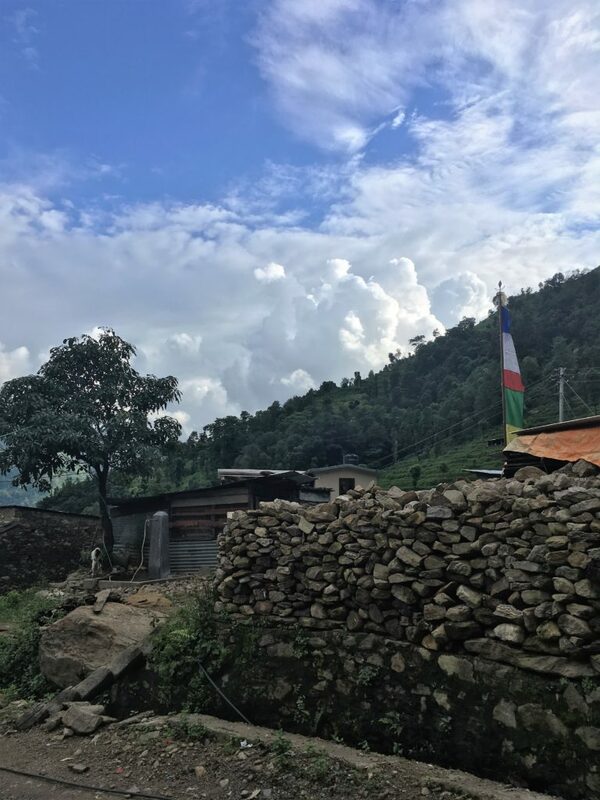 They are all over the temple: swinging from trees, and prayer flags, stealing food from unsuspecting children, they are territorial and you should not get in the way of them and food, even if it is your food. We passed many people touching rotating cylinders – prayer wheels. Temples are on top of hills most places in the world, here too. 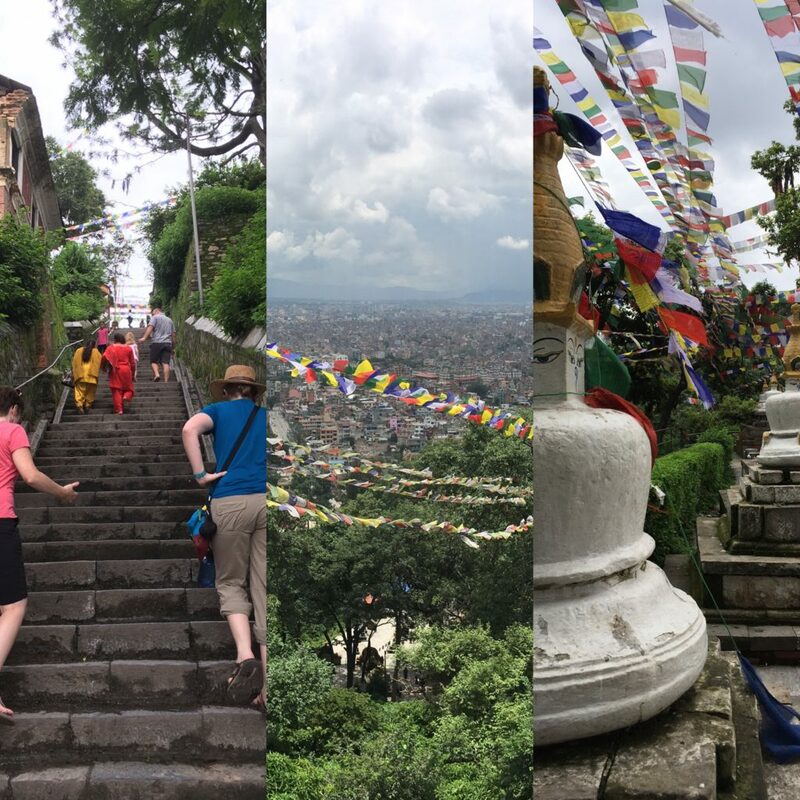 Swayambhunath is one of the oldest and most sacred religious sites in Nepal for Buddhists. Adherents (especially older women) will walk around this massive complex a few times per day. 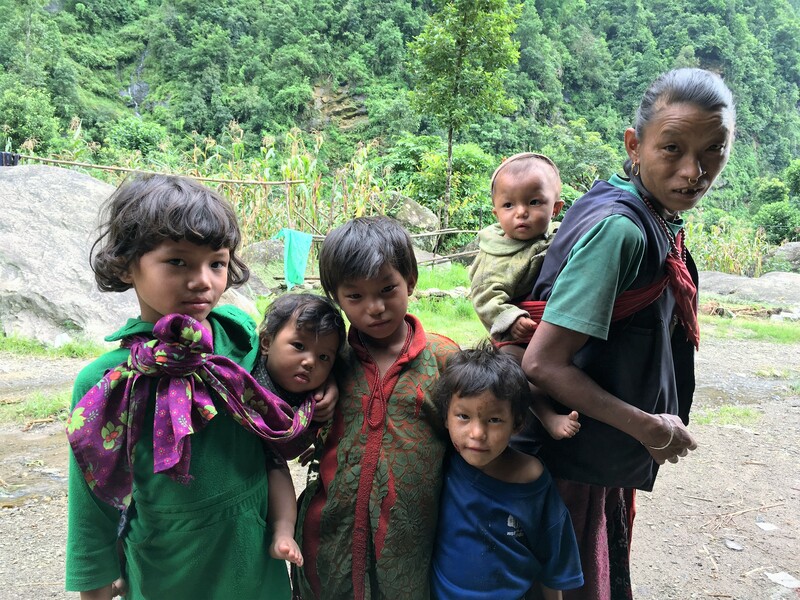 In Nepal, religion is seen as something you practice when you are older. Early on in life you should try and make money, so that when you are older you will have the ability to spend more time on your religious practices. So we climbed up and up the steps. Sometimes our stray dog would try and trip us. Sometimes monkey feces would try and make us slip too. There are two ways to the top, we went the back way, which is free. The front way is where most tourists find themselves and so of course, you have to pay. We went up and up, more flags and colors and monkeys and green. Stopped briefly for some Lassi (sweet and often flavored yogurt drink). Up to the top to Lord Buddha’s eyes. On top, there are a ton of vendors selling religious wares and trinkets. Lord Buddha always watching. A feast for the eyes. So much happening. Monkeys, monks, congregants, tourists, locals gawking at foreigners, merchants, tour guides (500 rupee, 500 rupee), giant eyes and hundreds of stairs. 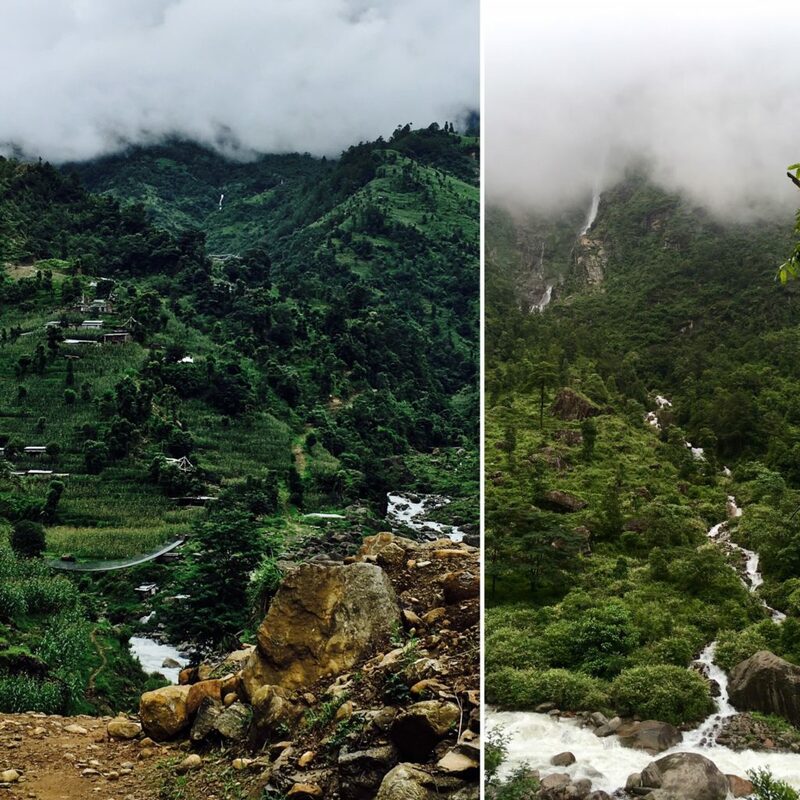 We headed back down and stopped for a lunch of momos (dumplings with goodness inside). You have to be very careful about what you eat. Raw foods are a no-no for the tourist that doesn’t want to get sick. So too is the water. Washed lettuce can never be clean enough, so just avoid it. Diarrhea can strike from just about anything. The delicious salsa is probably okay. But we don’t want to risk it. 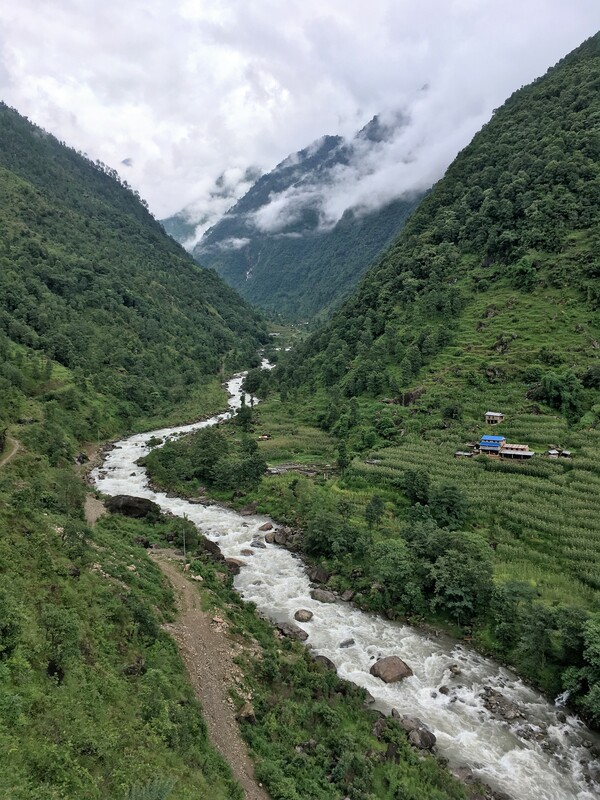 Nepalis drink a ton of hot tea and that is fine to drink because it is boiled, but you should wipe the cup out if it is still wet from being washed. Even bring extra water to the bathroom when brushing your teeth. This is a lot to keep in mind. Also, just because it is interesting, the year in Nepal isn’t 2016. It’s the future: 2073. Nepal isn’t alone in their decision to not follow the Roman calendar; Israel and a few other countries do too. The time zone is 15 minutes earlier than India, just because. For the next few days, we just hung around Lizzy and PJ’s, sometimes accompanying them on errands or to the local farmer’s market, or giving advice on elementary social studies curriculum, or reading a lot of John Grisham novels, or playing games with Naomi and Ezra. We all went to be early and got caught up on rest from our Korea travels. One thing we did not do is venture out on our own. We walked down to the ring road to get cash from the ATM about a kilometer away from home, but that was it for our adventures sans a guide. It rained a lot. It’s amazing how many people wear sandals here with the condition of the roads. The women in particular seem to have an uncanny ability to step lightly and keep their feet clean. It’s amazing how much balance and poise people have. Whether it’s dodging and weaving traffic perched on the back of a motorcycle or negotiating pot holes or crossing the street or pushing a fruit-laden bicycle or carrying a basket of stones or a tall pile of textiles. Nathan was feeling stressed about work and getting his art installation Audiograph working and ready for the conference in Finland. I encouraged him to prioritize working on his art since he had been prioritizing other people’s projects up to now, and since we had semi-reliable power and internet. He did and after a few days of working on it and a lot of trial and error and getting help from friends back home, he got it working. 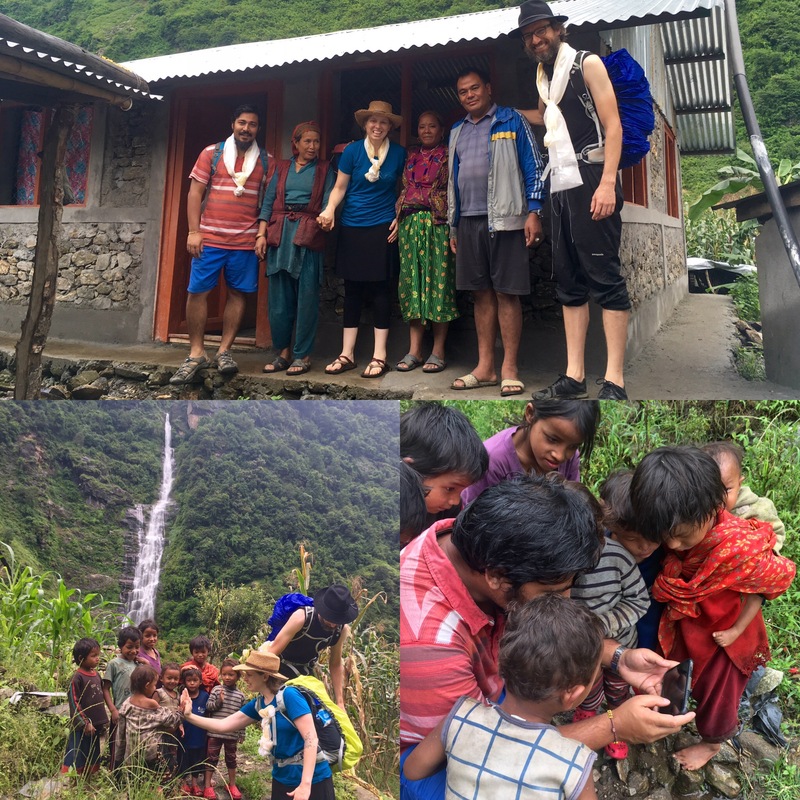 Friday morning we met with our “baby trek” guides who would take us to the Gyangphedi villages (GP) next week. Lizzy dropped us off at the organization’s headquarters at their coffee shop, Kairos (which was the name of Nathan’s band back in the day, though spelled differently). The organization is called Five14 and works to do sustainable eco-tourism. That’s a fancy way of saying that they are very intentional about not exploiting Nepalis and doing their best to help Nepalis build Nepal. Our guide Yogya is Nepali and is from a small village in the west of Nepal. More on him later. 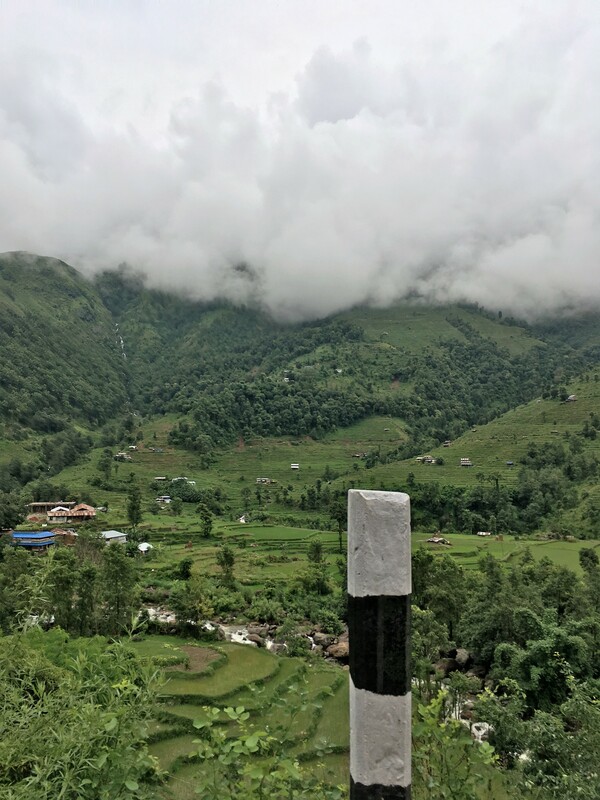 He and his wife started Five14 about five years ago and havebeen establishing specific treks and homestays with remote villages. We wouldn’t be going high into the mountains, but we would be going high enough for us and I needed to get some better footware. Yogya thought my sandals would be fine, but I wanted a back up pair as well. 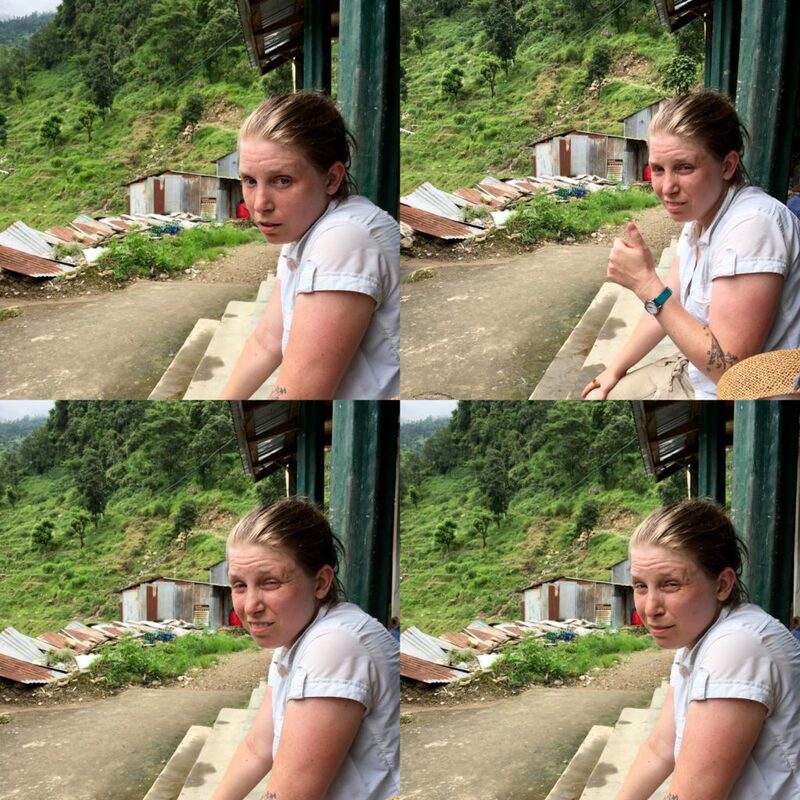 We learned that we would be in a Jeep for 5-6 hours and walking for 5-6 hours to get to the village. This is where I started questioning my sanity, or decision-making skills (not for the first or last time). We were calling this a baby trek and it may be a baby trek, but 5-6 hours hiking doesn’t sound all that babyish to me. Nate was suprised that I was suprised. Didn’t you read the description on the website? Um… maybe. 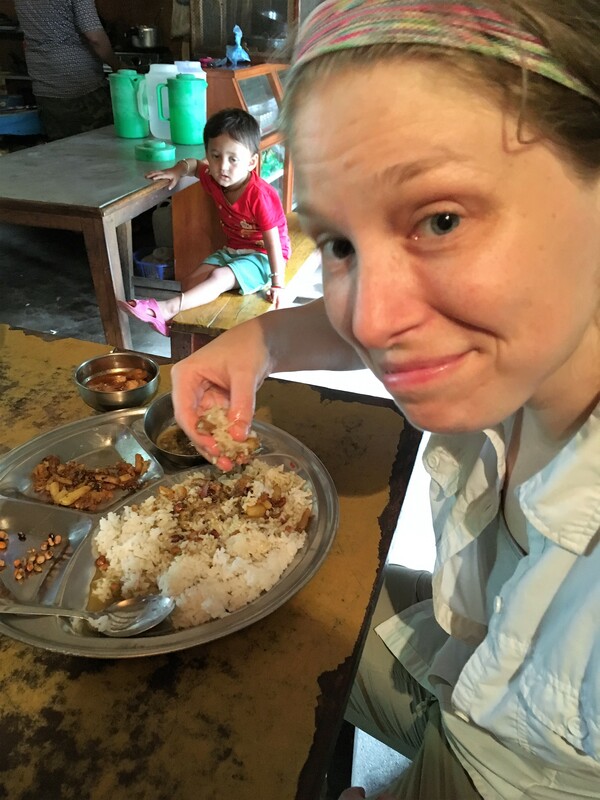 I looked at some pictures, saw the words “village homestay” and called it a day. Whoops. What were we in for? The thing is that sometimes in life if you read the description, you’ll talk yourself out of something and not give yourself credit for being strong. This hopefully will turn out to be for the better.